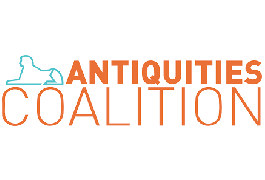 On October 10, 2014, the Antiquities Coalition and the Middle East Institute in Washington, DC held a roundtable discussion on “Cultural Racketeering: A Global Crisis” and its role in financing terrorism in the Middle East. The intent of the gathering was to explore potential solutions the international community could employ to protect cultural heritage from looting and destruction by terrorist groups such as Daesh. The roundtable drew on experts from leading think tanks, universities, nonprofits, and the legal field to develop innovative solutions and outline the efforts that must be undertaken to slow down the rampant theft of history from the cradle of civilization. The first session of the roundtable explored the scope of the overall challenges and identified what networks are engaged in the problem to help find the most effective response. The group explored the role the U.S. government, particularly Treasury and State, can play in stemming the sale of illicit antiquities for profit as the government continues to focus more resources on the fight against Daesh and similar terrorist groups. The second half of the roundtable – a solutions session – revealed the critical need for up to date, reliable data to present the government and interested parties with the tools to address the criminal trade in antiquities and the role it plays in financing terrorist syndicates. The roundtable closed with plans to convene a working group led by the Antiquities Coalition and the Middle East Institute and comprised of experts across the fields of heritage, terrorism, finance, and law to gather the data necessary to effectively combatting cultural racketeering. The roundtable group outlined several additional potential solutions, meant to address both the source and demand sides of the market. Build Coalitions of Like-Minded Countries: Bringing the collective efforts and resources of the countries under attack together to fight against looting. Engage Demand Countries: Work with U.S., EU, Japanese and other governments to explore potential solutions. Make Best Use of International and Domestic Laws: Consider the best use of international laws to counteract the sale of illicit antiquities for profit. Outreach to the Private Sector: Coordinate with the auction houses, antiquities stores, and other outlets to explore best practices. Increased Security and Databases: Explore ways to better protect sites, and track excavated artifacts. Social Entrepreneurship: Create economic opportunities for the local community around cultural heritage sites to develop vested business interests in protecting the sites.